Got to love this 5 foot long scarf hat. 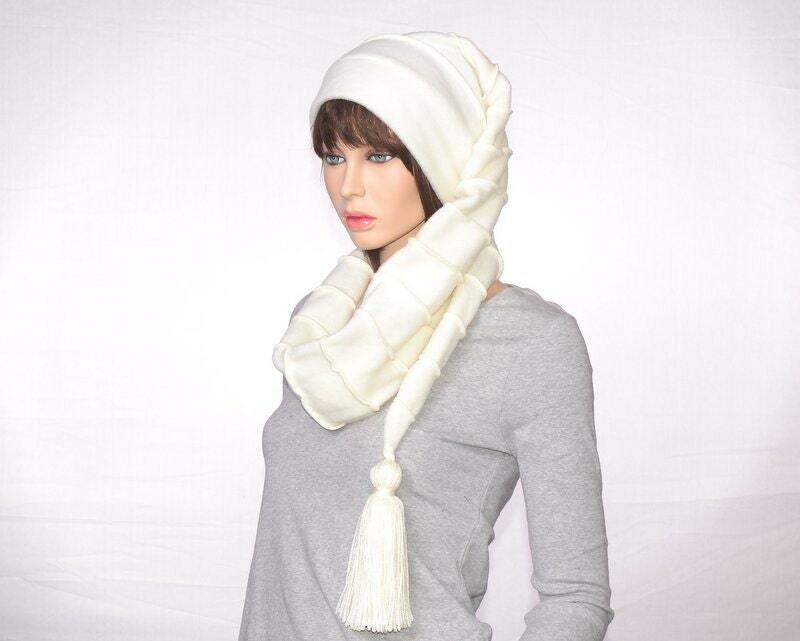 Made of a soft plush fleece in a creamy natural white, not a bright bleached out white. 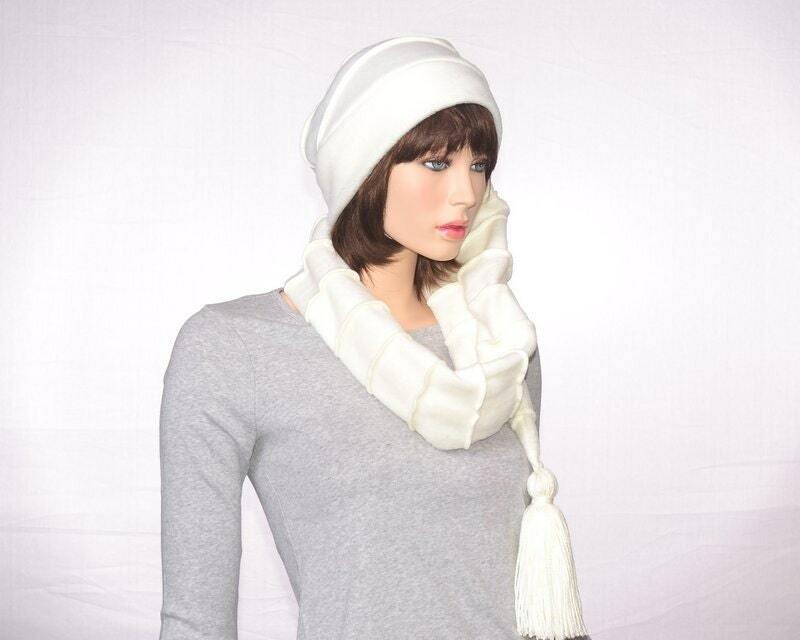 Made in a traditional stocking hat style, with a beanie top expanding into an uber long tail. Tip of the tail is finished of with a fat hand tied cream color tassel. 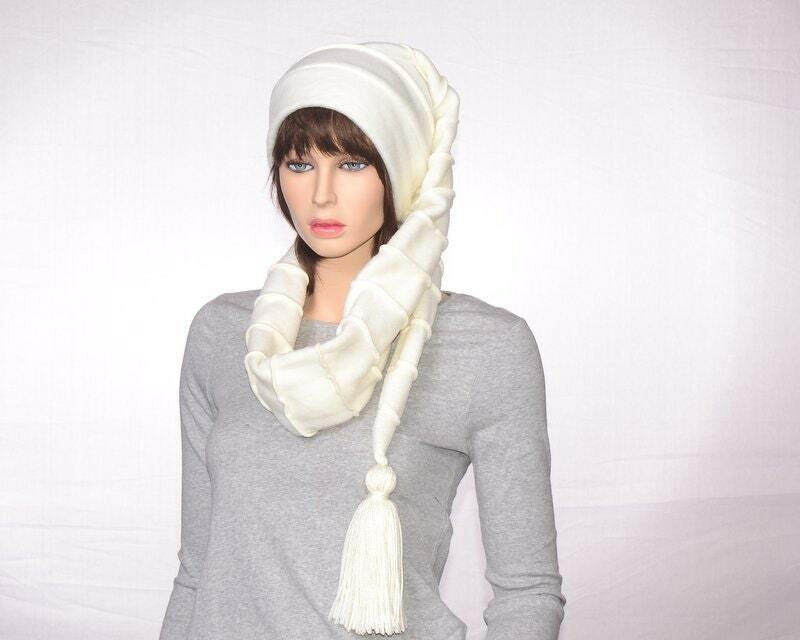 These are great to wrap around and wear as both a scarf and a hat. This is made of strips of fleece sewn together with raised decorative stitching to make a ridge between strips. One size fits most with heads measuring 22-24 inches. Convo me if you need a larger or smaller size.